This essay was posted anonymously on the comments section of this post. It is too good not to post in its own right. It is a very good precis of the subversion that has changed western culture so dramatically in the last 60 years. 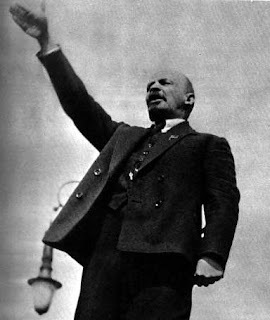 In the 1930s, Stalin devised a strategy for weakening and subverting democratic societies that changed the nature of revolutionary politics forever, while profoundly increasing the threat that revolutionaries posed. Until then, Communist parties in non-Communist countries had openly declared their anti-capitalist, anti-Western and anti-democratic agendas. They called for the “dictatorship of the proletariat” and advocated “civil war” in the western democracies to bring this about. Because most people in free societies remained unconvinced of the need for a violent socialist revolution, Communists remained a fringe minority with little political clout. Wtf ? Subversion ? the marxist anti-family agenda ? Well this is an enlightened stance for a supposed libertarian to support. I can see someone making an argument that the gay activist movement is closely affiliated with most groups on the left but that is because until recently many parties of the economic right ( see political compass) incorporated a strong moral conservative wing as well. 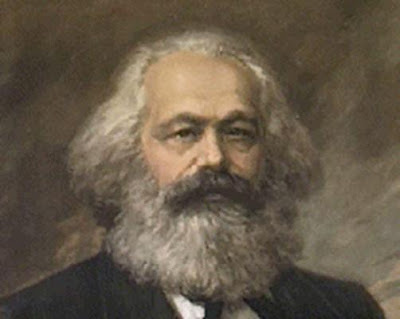 Still many classical leftist movements were the same perhaps they were just the first to change and so offered the first political outlet even for people who would have felt more comfortable with a separation of economic politics a moral politics. An example of this is the conlict in the US between paleo / moral conservaties in the US republicans and the free- business morally permissive elements such as the Log Cabin Republicans. NZ is a better example still perhaps, the National party and Labour both incorporate members with elements of social conservatism, see the split on the prostitution or civil union bills for example. Their economic policies are the clinch and main difference. Look at ACT, right win economic but willing to legalise drugs. Stop being so one dimensional. Enouraging an understanding of politics as more complicated than left and right allows issue groups to more carefully state their positions. Stop being such idiots too. Gay and Lesbians have been at a significant political and legal disadvantage since the age of Ancient Greece practically. As a libertarian I support equal rights for gays, just as I do for Maori, women, left handers, "gingas" or any other "oppressed minority". That is, I support equality for all-before the law. If the author is who I suspect he is-so does he. What I object to is "group rights". In my view groups don't have rights-only individuals do. 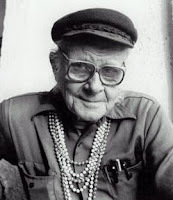 That Marxist-Leninists incubated the gay "rights movement is beyond doubt. That they have done the same with the anti-Apartheid struggle, women's rights, the US civil rights movement, the Palestinian movement, the Northern Irish Catholic cause etc etc etc etc is also beyond doubt. That all of these causes encompass completely valid ideals is also beyond doubt. As a libertarian I will support those causes that are just-ie legalisation of homosexuality, civil union etc, while opposing the agenda of those who wish to pervert that cause to negative ends. Conservatives simply oppose the "progressives". Libertarians acknowledge and support the positive elements of any cause and oppose only the negative. What I see here with the reason why Western Communist parties and movements would embrace "gay rights" and other assorted movements is basically due on the part of divide and conquer. I mean, if the CPUSA really did care about gays, why are they not protesting Fidel Castro for jailing gay Cubans in his prisons? Or "former" Communists in Russia re-criminalizing gays? It's all about divide and conquer. Nothing more and nothing less. "He [Gramsci] saw that Western society, steeped in traditions of freedom and liberty, would never succumb to a frontal assault and its workers were too busy accumulating capital to be cannon fodder for a socialist revolution." Would you be including Fascist Italy in these great "free" Western socities? After all Gramsci was in one of Mussolini's dreary prisons when he came up with most of his theories. "Would you be including Fascist Italy in these great "free" Western socities? After all Gramsci was in one of Mussolini's dreary prisons when he came up with most of his theories." And Mussolini was allied with Hitler who implemented the Nazi-Soviet Pact that divided up Poland. Geeze you have to certainly take one form of totalitarianism over another. That's so typical. If Gramsci was a Fascist theorist, you wouldn't be supporting Gramsci would you? Eh? Gramsci was a dedicated anti-fascist. So that makes his evil ideology A-OK doesn't it cameron. "Eh? Gramsci was a dedicated anti-fascist." So why didn't Gramsci protest his masters in the Kremlin for supporting an alliance with Hitler? Couldn't Stalin send some early KGB types to free Gramsci if Stalin was so "anti-Fascist" as he claimed to be? Why did Gramsci continue promoting the totalitarian Soviet cause after he was freed in spite of Stalin aligning himself with Hitler that caused Hitler to expand his conquests? All this exposes is what a puppet Gramsci was, and that his masters really didn't care if he rot in prison in Fascist Italy when Fascist Italy stopped being "anti-Communist" when Hitler signed a pact with Stalin. 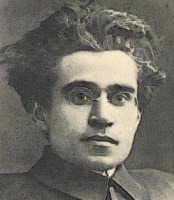 Gramsci died in 1937 - two years before the Nazi-Soviet pact was signed. Mah you're pretty good at not letting the facts get in the way of some of your anti-communist diatribes.